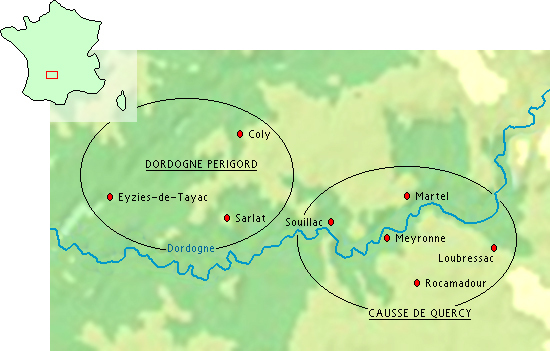 Individual cycling tours in Dordogne P?igord and Lot-Quercy with luggage transfer. Standard and customized tours. 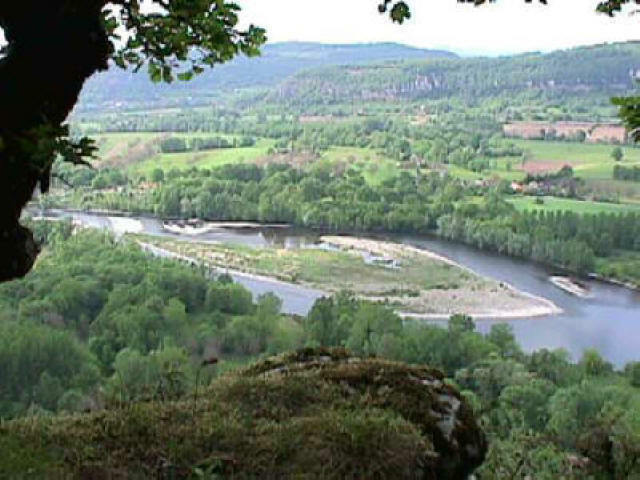 In between the Auvergne in the North, the Pyrenees in the South, the Ardeche in the East and the Atlantic Ocean in the West flows the Dordogne. This river has since long attracted tourists from all over the world. Most famous are Medieval Sarlat UNESCO WORLD HERITAGE SITE (in the heart of 'Perigord Noir'), the Gouffre du Padirac, the Caves of Lascaux and Rocamadour, a Renaissance style village built against the cliff and the area of the valleys of Dordogne and V? ?e with prehistoric caves all over the place. 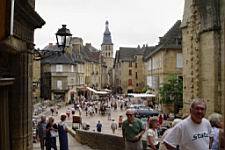 In Sarlat enjoy the markets on saturday and wednesday and its galeries and shopping centre in the old city. provides the scenery for a unforgettable biking tour. You'll have enough time to visit beautiful medieval villages like Souillac, Sarlat, Les Eyzies de Tayac and Rocamadour. B18 : a light trip in the Dordogne valley and on the Quercy causse (a plus, superior and luxury package are offered). 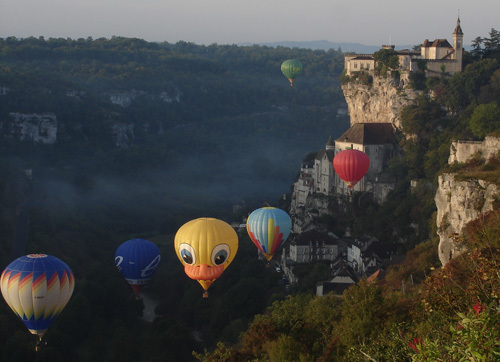 B19 : a more active trip in P?igord, Dordognevalley and Quercy (a plus, superior and a luxury package offered). 1) for small groups and families (3 - 8 persons a discount from 8% - 15% p.p.). 2) for bookings in April and October €25 p.p. 3) for bookings in May, June and September €75 p.p.